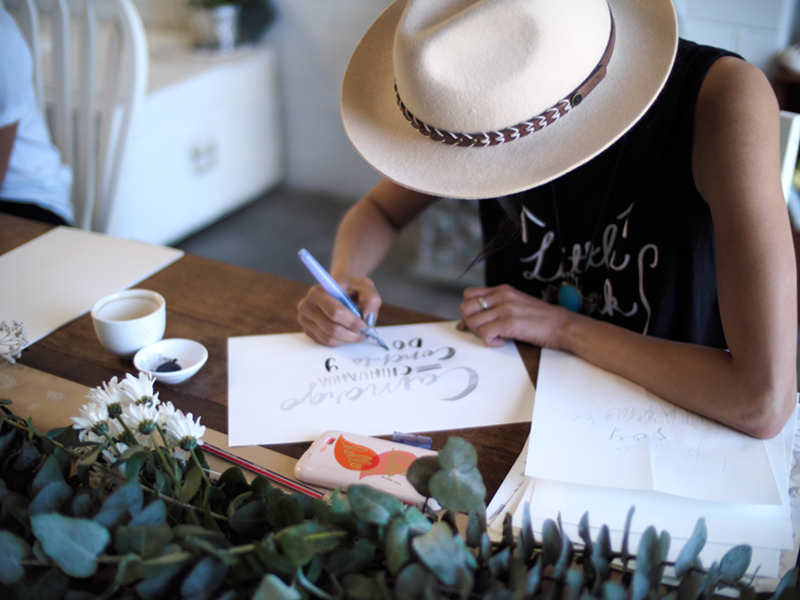 For our second Brush Lettering Workshop, we got in touch with a beautiful creative friend that we've known since the early days of The Little Press. 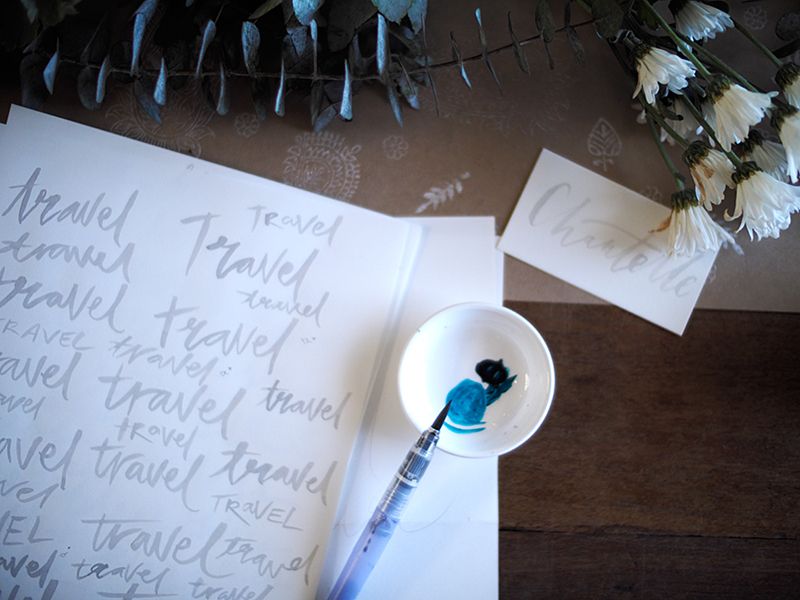 Chantelle is a talented designer, with a delicate bohemian style full of warm earthy colours and natural textures. 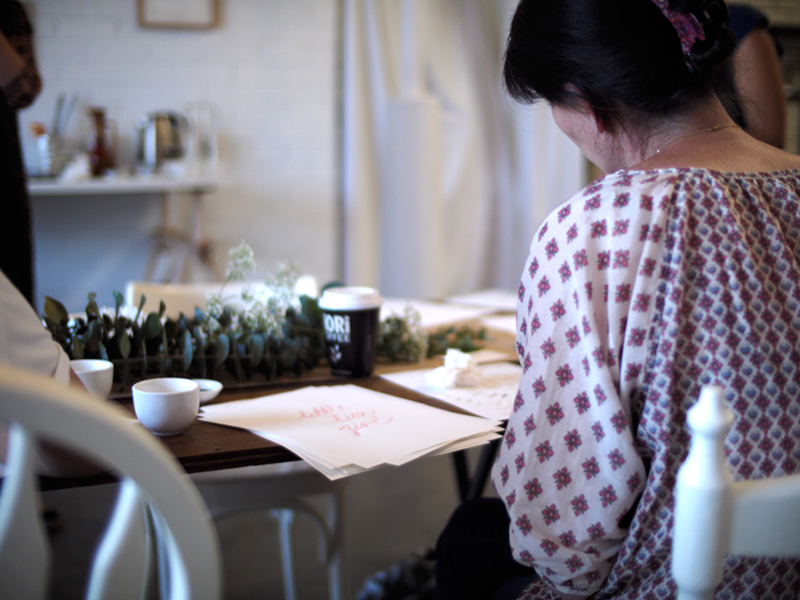 Her styling for the workshop include a stunning wall hanging with handmade cotton tassells, wild foliage for the table, and a hand block printed table runner made from recycled paper and our indian hand carved wooden blocks in gold ink. We love the moody vibes from these shots! We gathered friends and new friends for a beautiful evening under the festoon lights for a pre-christmas night market - such a magical night! 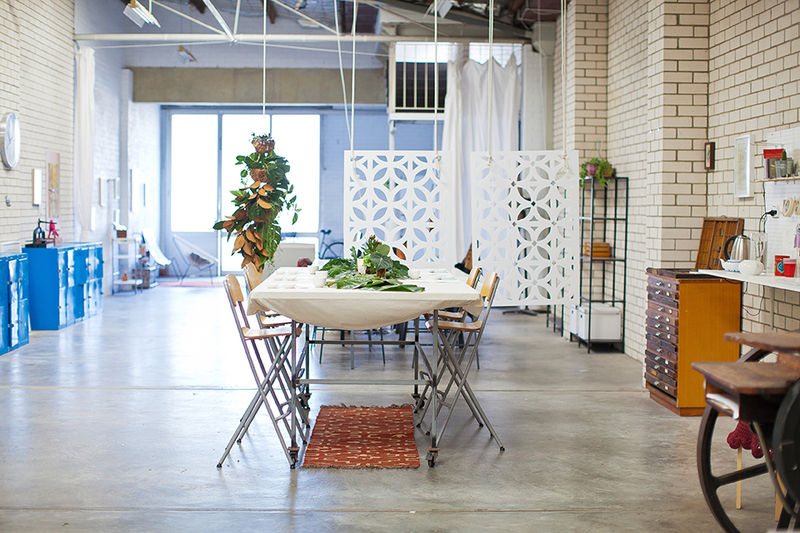 Having a market was one of the ideas we had when we moved into our warehouse studio space in West Perth. 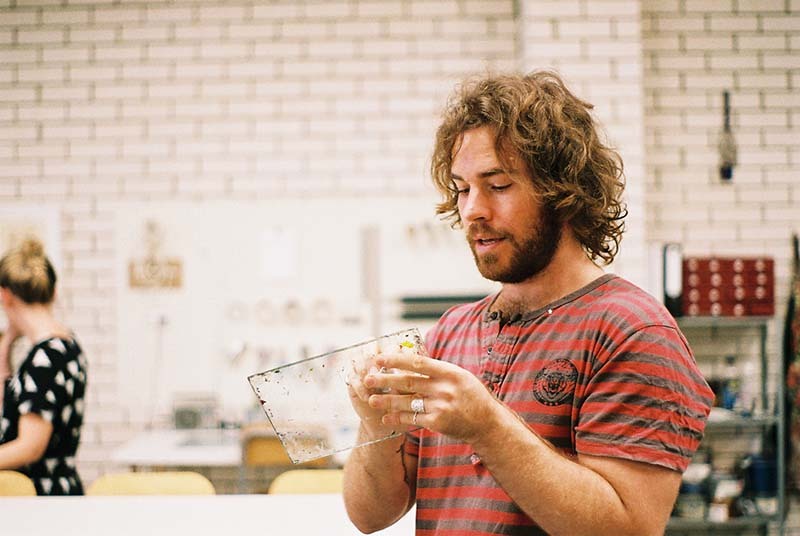 The little idea bubbled into a big market, full of local perth artisans with their amazing stalls of quality, handmade wares. It was so much fun - we're dreaming up a winter market perhaps, with chai mulled wine?! If you're in Perth and you don't want to miss out on any future intimate, small scale, small batch, artisan, handmade markets - sign up to our mailing list so you're the first to hear about it! A huge thank you to Kirsty Russell photography for capturing these amazing images. See the credits below for direct links to our friend's online stores if you missed out or need more! 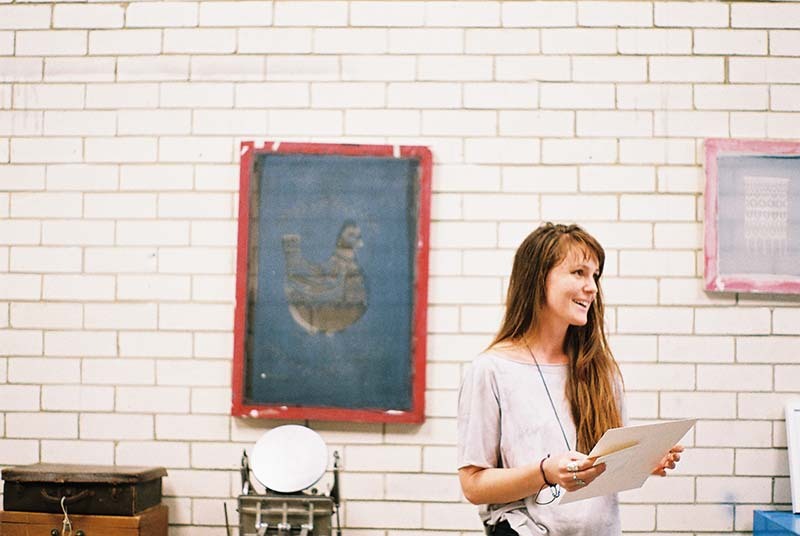 Moving into the "Dream Studio" space, we could finally host workshops in printmaking, have exhibitions and opening nights - and create a community with people who are passionate about paper and wanderlust ideas. 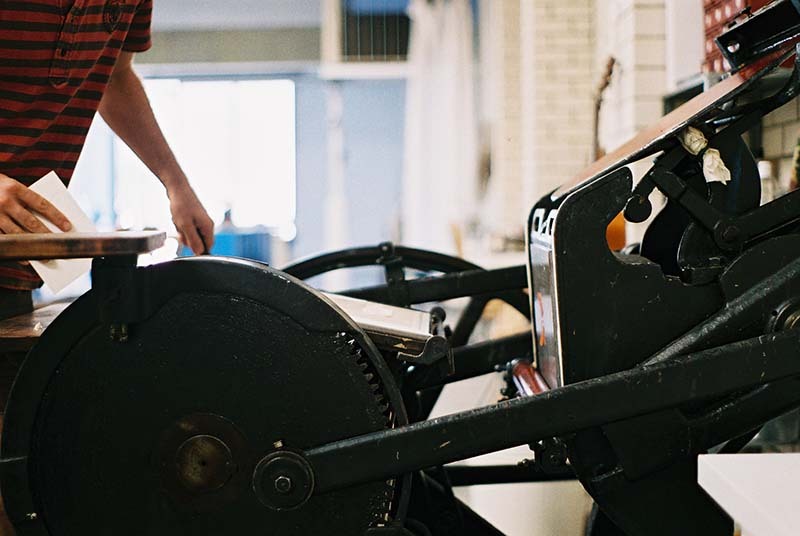 We host a range of printmaking workshops in letterpress (modern and traditional) as well as screen printing and traditional block printing. These are all very hands on, getting inky fingers producing prints - aprons are highly recommended! 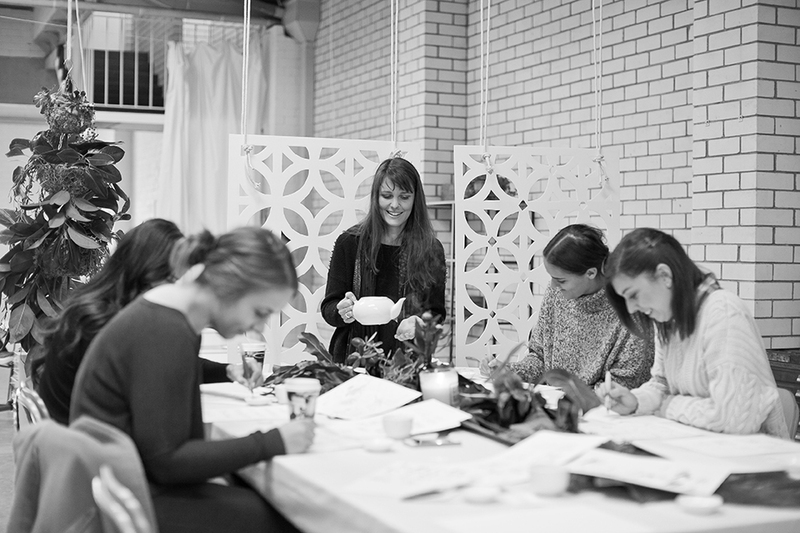 We wanted to do something a little more dreamy, host a workshop where we all can chat away and drink tea while learning a new skill - something less messy. 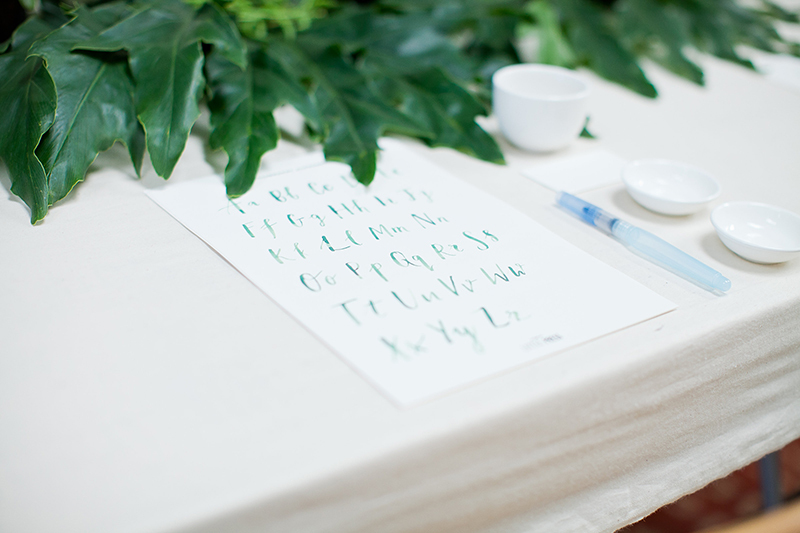 Since my watercolour hand lettering has become a popular add-on for envelope addressing and place tags, I thought this would make the perfect workshop. I also use a very handy watercolour brush pen, which I wanted to share with everyone, as I find it's a great tool for beginners. 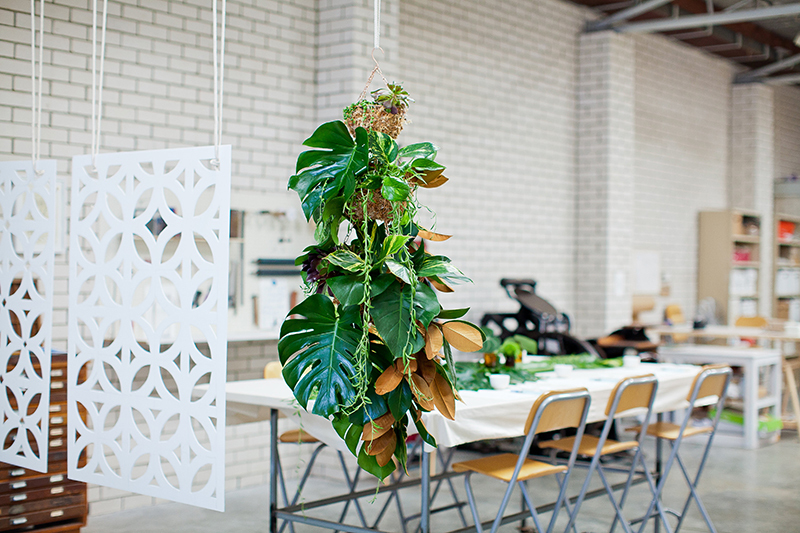 A few months ago, we contacted Floral Army - two beautiful florists who's floral designs are always an incredible combination of colours and wild elegance - and asked if they could help us make the space beautiful! 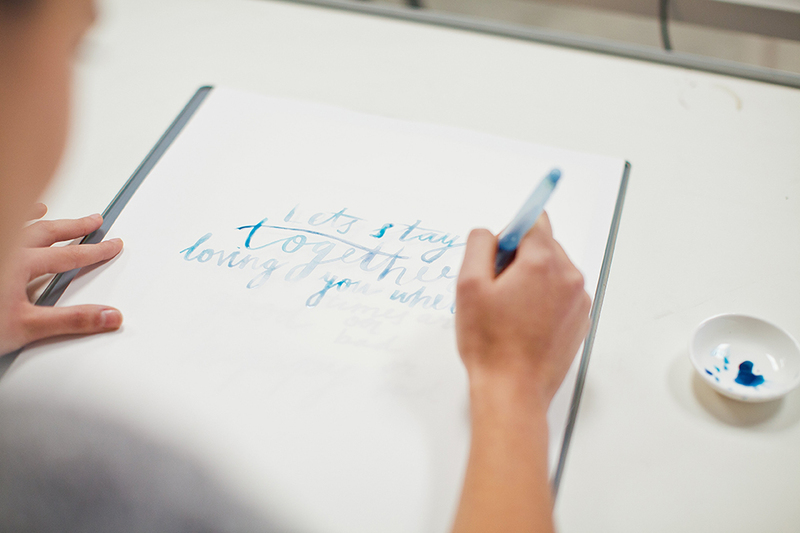 And so the Brush Lettering Workshop # 1 was created! We were so lucky to have Kirsty Russell attend the workshop - a talented Perth photographer who brought along her camera to capture the moments and mood. Check out Kirsty's website for some beautiful, light filled wedding photography and portraits. 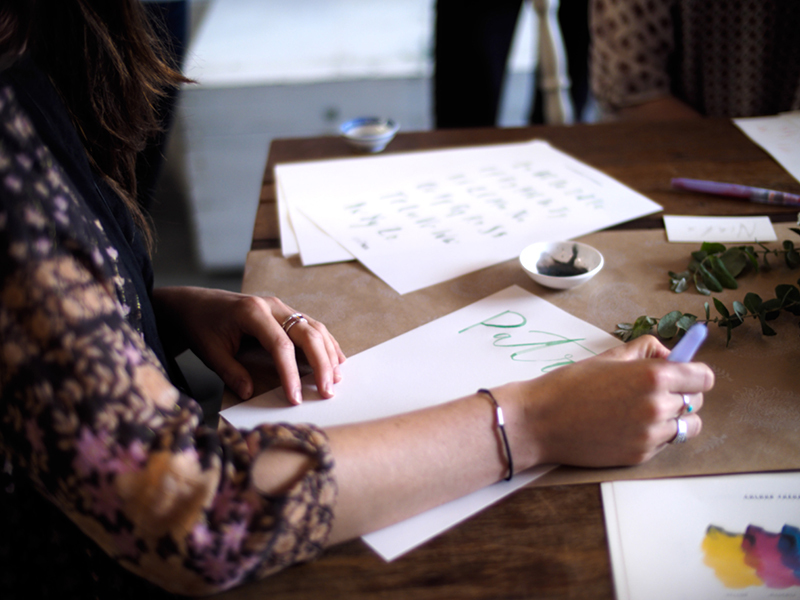 To keep in the loop about our upcoming workshop dates, sign up to our mailing list in the website footer! 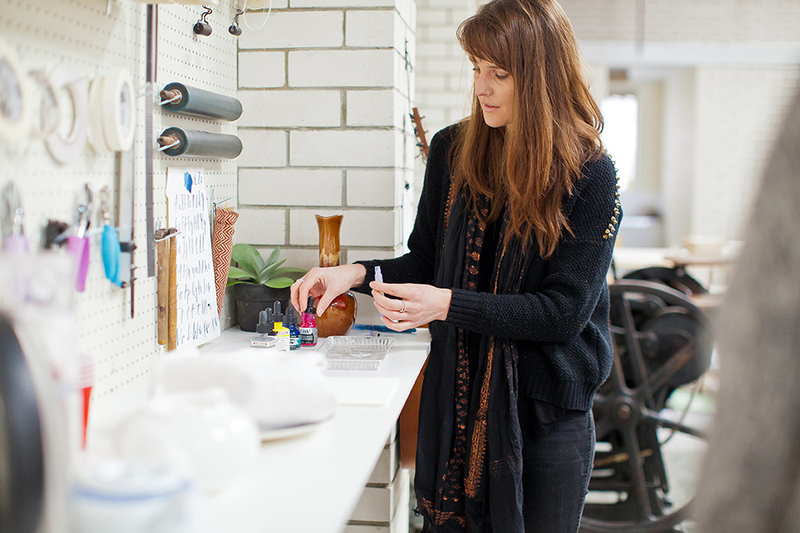 We were pretty excited when Amy contacted us to do an interview for her blog Duke St House. Especially since Rhianna May would be coming too and taking photos - Rhianna came to our very first studio and we've treasured her photos taken on film ever since. Her photography is stunning, (she also does weddings) and we love the way she takes candid photos that really caputure a moment or a personality. "Do you ever meet someone and decide almost immediately that you’d like to include them in your inner circle of friends? 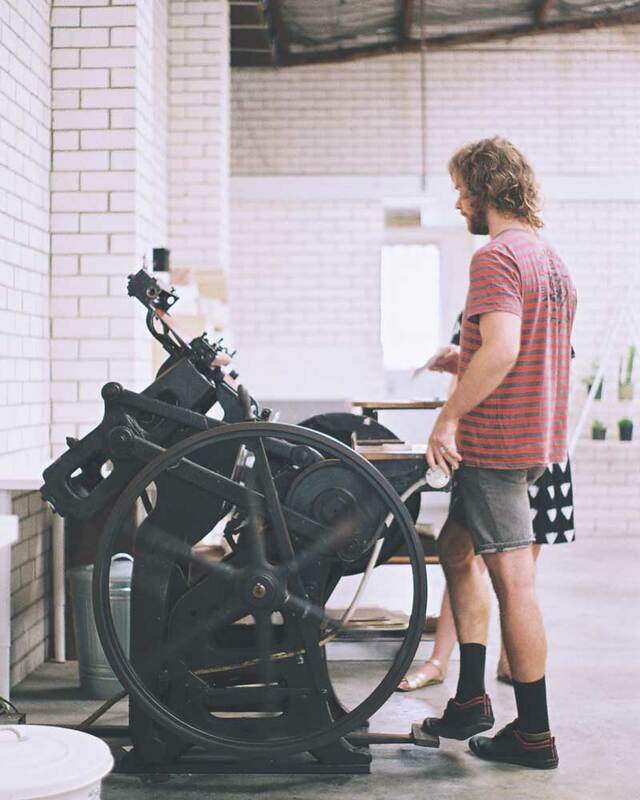 This was my feeling upon meeting Rob and Emily of The Little Press, a small Perth based letterpress print studio."